– Author Ian Frazier on Lake Baikal from his book, Travels in Siberia. Episode 032 – “Lake Baikal” Produced by Scott Philbrook & Forrest Burgess; Ryan McCullough Sound Design; Research Assistance by Tess Pfeifle and the astonishing Astonishing Research Corps. Copyright Scott Philbrook & Forrest Burgess 2016. All Rights Reserved. 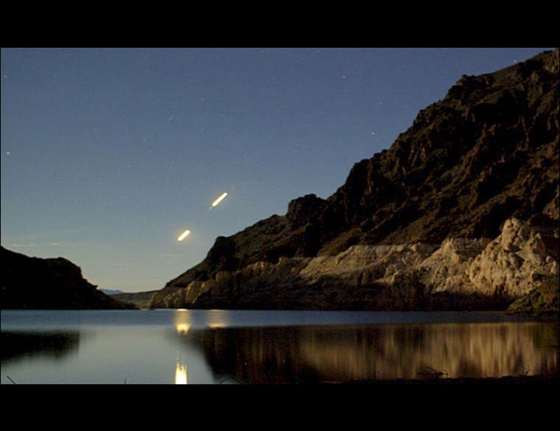 1) A photo of two unidentified, fast-moving lights over Lake Baikal, taken while two nature photographers were out capturing the beauty of the lake. Photo credit: othereal.ru; 2) Sunset over Lake Baikal. Photo from the article on the Russian website, http://komanda-k.ru/ “Anomalies, mysteries and places of Lake Baikal.” 3) The Ice Caves of Borg-Dagan. Photo from komanda-k.ru; 4) The Turkinskaya turtle. 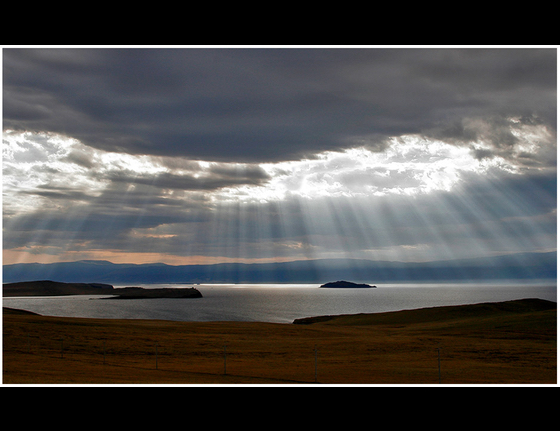 Photo from komanda-k.ru; 5) The sun breaks through the clouds at Cape Ryty. Photo from komanda-k.ru; 6) Cape Khoboy, which in the indigenous Buryat Khoboy language translates to, “canine, molar tooth.” 7) Shaman Rock at Cape Burhan. Only a shaman of the local Buryat peoples would dare or be allowed to enter the sacred and mystical cave located here.